Planning a trip to wine country anytime soon? The below infographic details out everything you need to know about wine tours including finding your favorite wines. Check it out! 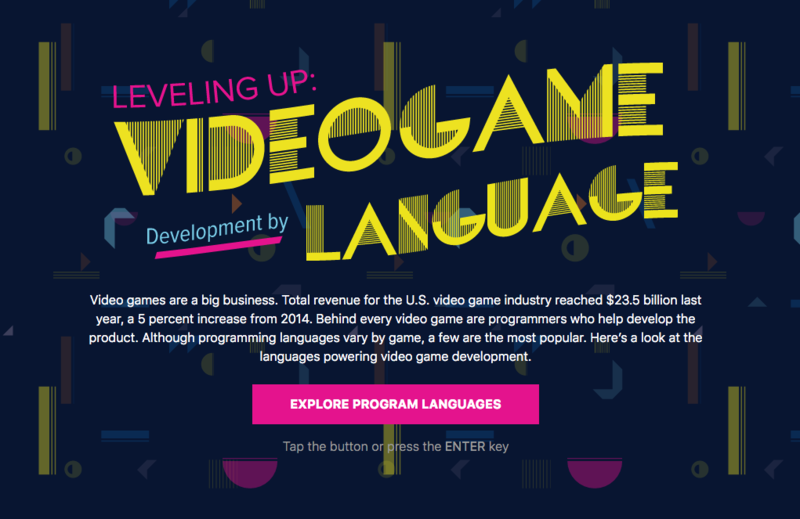 Curious about the programming languages behind major video games? The interactive graphic below (click to launch) walks through several popular games and talks about the programming languages used to develop them, check it out below! What killed humans 100 years ago likely isn’t the case anymore today. But what about in the future? The below infographic details out a comparison between common causes of death in the present day compared with the year 2030. It’s very interesting, check it out below! Wine is far more than just red or white. The below infographic takes a deep dive into Rose’ one of the most popular types of wine out there. Get the full scoop on this flavorful beverage. Getting sick a lot? The below infographic details out some interesting details suggested by a Naturopathic Doctor regarding your immune system. Definitely plenty of interesting observations, check it out!